I recently tried out the new Febreze ONE Fabric & Air Mist. I have always loved Febreze products especially the fabric refreshers. 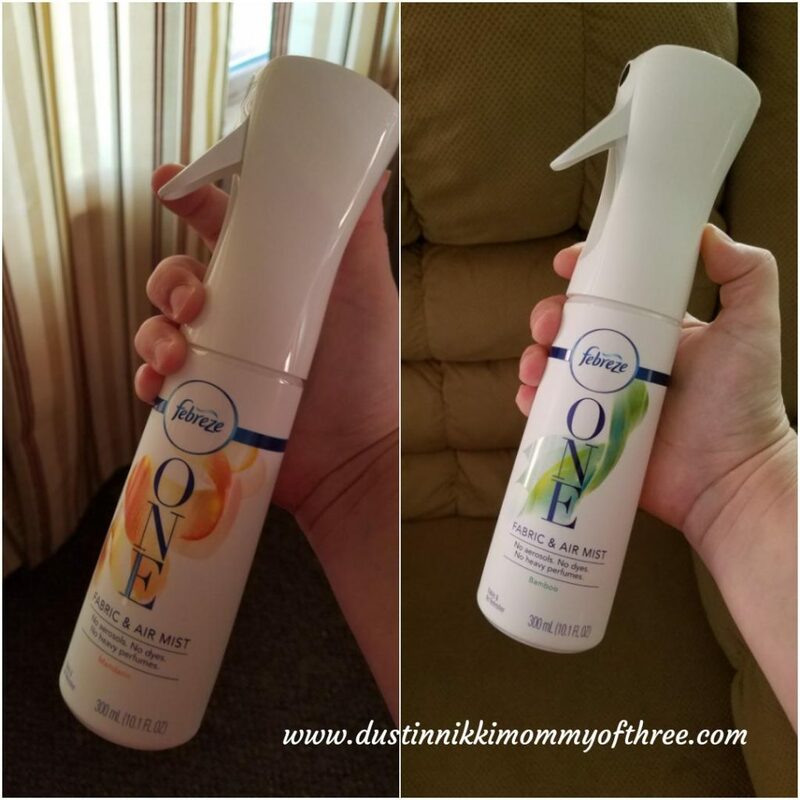 I was really excited to try out Febreze ONE because I have always loved the scents and how long they lasted, and how well the fabric refreshers got rid of odors and not just covered them up. I have always wanted to be able to just spray it in the air (technically you can because there’s no one stopping you) but they don’t work as well as products that are designed to be sprayed in the air. 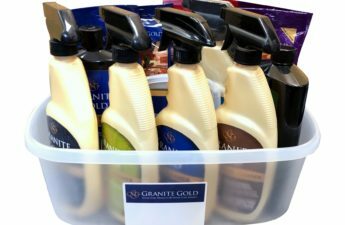 With this product, I was going to be able to do that with a formula that can be used as a spray mist and on fabrics – two in ONE! The first thing I like about it is that the top half (the sprayer) can be taken off the bottle. Then all you have to do is buy a refill bottle and put the sprayer you already have on the refill bottle. It’s less waste that way. The sprayer is really great. It sprays the mist evenly and it has a long spray. It also has a continuous spray as well if you pump the trigger a few times. I like it (not because I’m that lazy that I can’t keep pulling the trigger) because I noticed the longer it sprays by itself, the better it’s sprayed evenly. 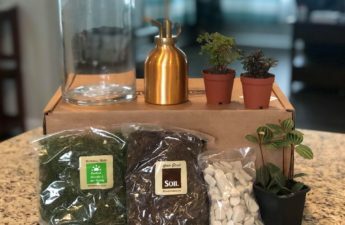 The product contains no aerosols, no dyes, or heavy perfumes. Magnifico! 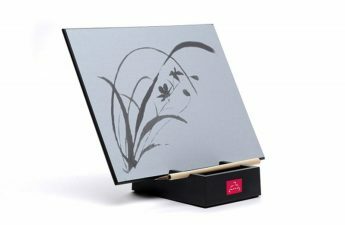 The scents that I have tried are Bamboo and Mandarin (it also comes in Orchid). Speaking of the scents in general, they are not that strong. There are no heavy perfumes which is great. I like the scented goodness, but I don’t like overpowering smells. I like a light, fresh, clean scent and I get that with this product. The Mandarin scent is amazing. It has a really great citrus/orange smell and it smells fresh and fruity. I’m not sure exactly what Bamboo is literally supposed to smell like but the Bamboo scent is beautiful. I’m not sure how else to describe it. It just puts me in a good mood I guess. It’s a very fresh, clean smell and I love it. It works as a great air mist and it also works as a wonderful fabric refresher. I can go on and on about the scents but I do have a slight issue with them. As much as I love the scents and am really glad they aren’t heavy, I wish they lingered a little longer than they do. Don’t get me wrong, I love it but just wish it lasted a little longer. However, this product does do a pretty good job of getting rid of odors though. Disclaimer: This is not a paid or sponsored post. However, I received product mentioned in this post for free in exchange for my honest opinions. All opinions expressed in this review are 100% my own.